The China CNC Machine Tool Fair (CCMT) is one of the most important international exhibitions in China for the Metalworking sector. This is an essential opportunity to present Cruing’s high-quality PCD and carbide cutting tools to all the manufacturers within the Greater Shanghai Area. In collaboration with Dalian Yimule Inter. 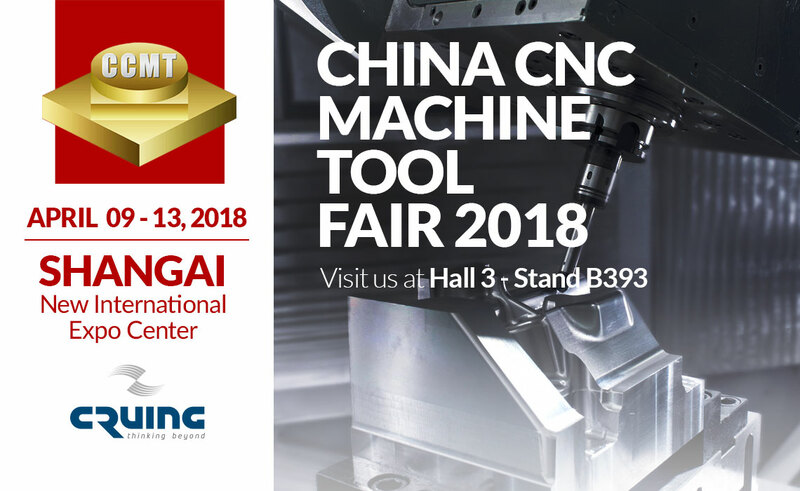 Trade Ltd., our partner for the Chinese market, we’ll exhibit at booth N3-B393 the full range of diamond and solid carbide drills, end mills and reamers for aluminium, lightweight metals, titanium, steels and cast iron.